Jeanne Garbarino turned her love of science outreach into a career. As Director of RockEDU Science Outreach at The Rockefeller University, Jeanne Garbarino promotes equitable access to science and fosters a genuine connection with science in our society. Along with her team, she creates innovative resources and educational programs that inspire an appreciation for the scientific process. Jeanne Garbarino received her PhD at Columbia University and completed postdoctoral training at Rockefeller University. During her postdoc, she started exploring science communication and outreach, eventually turning her volunteer work into a career. As Director of RockEDU Science Outreach at Rockefeller University, Jeanne distills scientific concepts for students and teachers through elegant and creative experiments. 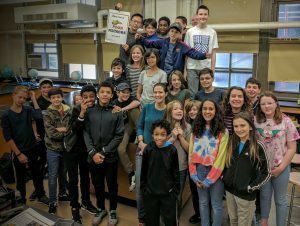 She manages a team that puts on an array of outreach programs, including an annual science festival, middle and high school field trips to the RockEDU lab, after-school programs, and student research programs. How did you transition into your role as director of an outreach program? I was pregnant with my second daughter, and I had this existential crisis that all of my bills were going to double. I took a hard look at my own career trajectory, and I realized there was no way I was going to get an independent research position, and I began to question if this was even what I wanted. I needed to figure out how I was going to support my kids. I really resonated with science communication and outreach, and I knew that I didn’t want to leave Rockefeller. I had always felt at home here, and I was able to express my creativity in a supportive and professional environment. Rockefeller also offered daycare on-site, great health insurance, and a wonderful retirement package. I made what felt like a Hail Mary toss: I wrote a proposal advocating for expanding science education programs to Marc Tessier-Lavigne, who was President of Rockefeller University at the time. It was impeccably lucky timing as there was a new opening for a Director of Science Outreach position, and Dr. Tessier-Lavigne encouraged me to apply. I was an ideal candidate for the job because of my active involvement in outreach, and I also had strong relationships with scientists and administrators at Rockefeller University. 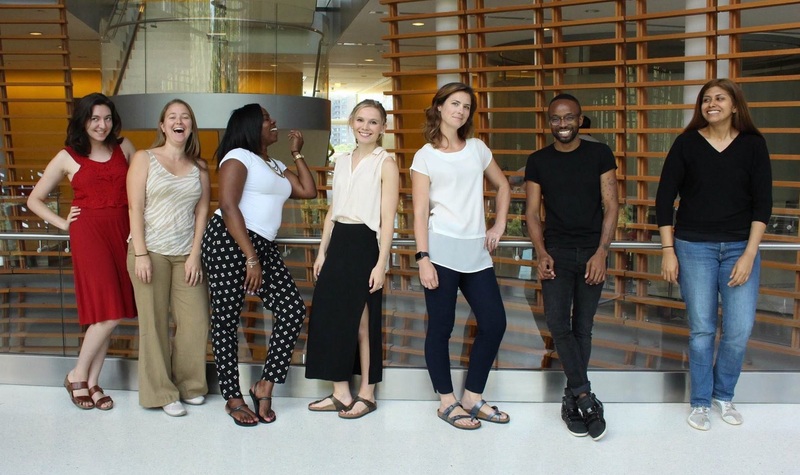 The enthusiastic and talented RockEDU Science Outreach team. I started my job as a director with the responsibility of running the Summer Science Research Program (SSRP), which left the rest of year open for me to do additional projects. I applied for grants to grow the program, and the funding I received allowed me to build the team I needed to support the new programs we created. Within two years of starting this position, we established RockEDU Science Outreach. This position allows me to share my passion for science while also doing the tinkering and tactile part of research work. 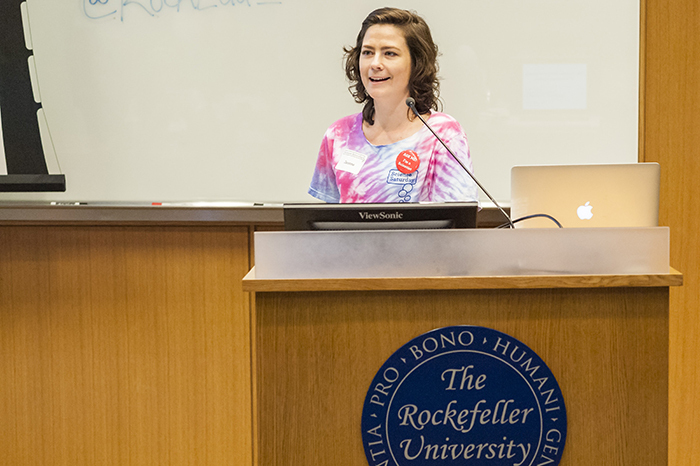 What does being the Director of RockEDU Science Outreach at Rockefeller involve? As a director, I juggle a lot of responsibilities. I manage a team of scientists, educators, and support staff to develop and run science outreach programs. Our guiding principle is that a successful outreach initiative benefits both the university and community. Because Rockefeller University is a biomedical research university without undergraduates, our graduate students and postdocs don’t have teaching and mentoring opportunities on campus. 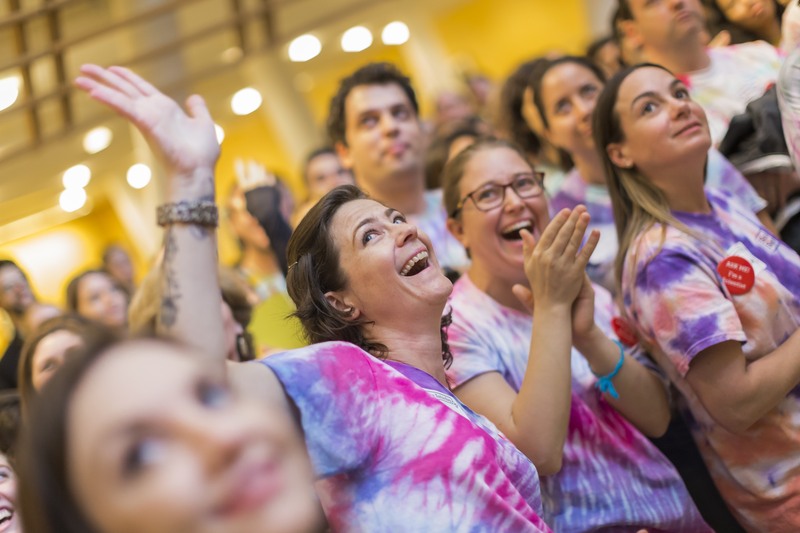 We fill that niche by providing teaching experience, curriculum development opportunities, and classroom management experiences through the science education programs at RockEDU. Our primary program is the Learning At the Bench (LAB) initiative, which provides hands-on lab experience for students and fosters active dialogues between scientists, teachers, and students at various levels. Aside from focusing on our programs, I am constantly fundraising and browsing funding announcements on government and private foundation websites. I work closely with Rockefeller’s Development Office to decide how best to write grants for our work that align with the goals of various funding announcements. How do you approach managing a team? I like to operate with a very transparent style and to afford people flexibility. Basically, I try not to micromanage – I want people to work in the way that is best for them and their life. I want the people I supervise to work really hard, but I never want them to put the work ahead of their personal well-being. I make myself available whenever they need support. When problems arise, I make sure they feel their concerns are being heard. As a manager, it is important not to take those problems personally and to work with the team to come up with a solution or compromise. When things are going well, I regularly offer praise. Overall, I ensure that my team believes in the program, themselves, our mission, and me. What are good ways to get involved in science communication and outreach? There are a lot of ways to get involved in outreach. While a postdoc, I planned events where I brought together scientists, journalists, and members of the public to discuss controversial topics like climate change and vaccines. Through these platforms, I interacted with organizations that bring authentic science experiences to kids; learning about their programs gave me the outreach bug. Doing outreach digitally shouldn’t be overlooked. I started to do science communication by writing blogs and being active on Twitter. I learned that some outreach doesn’t require tremendous time, resources, or training. For those interested in starting small: you can begin by working with a teacher to talk to a classroom of students. Finally, what’s your vision for science outreach in the future? Learning at the Bench: Jeanne makes science accessible, fun and engaging for young New Yorkers. My overarching goal for science outreach is to create opportunities that promote inclusion, increase trust in science, and reveal science as a human endeavor at the core. To accomplish this, we need to develop mechanisms that bridge research and communities while staying aware of cultural contexts. Towards this goal, I am organizing a national unconference called Science Outreach: Models, Methods and Measures in collaboration with the Public Outreach Committee of the American Society for Biochemistry and Molecular Biology. We want to form a community of outreach practitioners to create a common core of best practices and then advocate for them nationally. 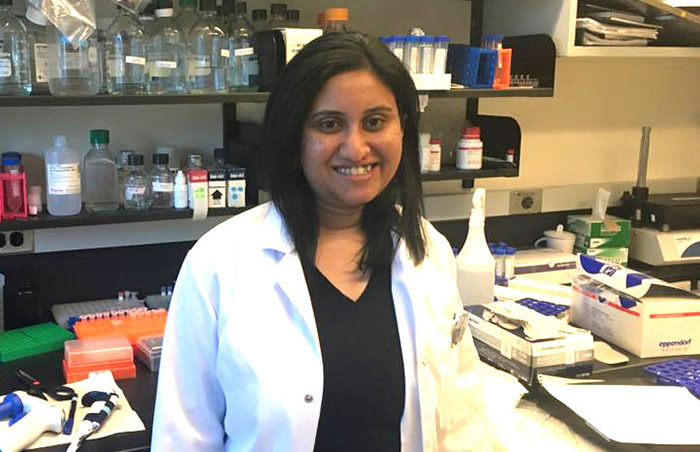 Sonali Majumdar is a liaison on the Early Career Scientist Career Development Committee and an Associate Director of Graduate Professional Development at University of Virginia. She is a firm advocate of empowering early career scientists for career readiness in different job sectors.